– IP57 certified – dust and water resistant . – Water resistant up to 1 meter and 30 minutes . – 5.0 inches , TFT , Multitouch , Shatter proof and scratch-resistant glass . 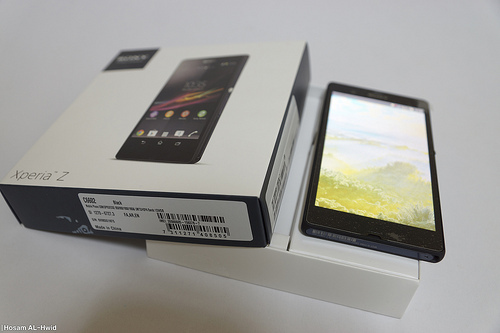 – Sony Mobile BRAVIA Engine 2 . Memory : 16 GB, 2 GB RAM , microSD up to 64 GB . – Speed – HSDPA, 42 Mbps; HSUPA, 5.8 Mbps . – Wi-Fi 802.11 a/b/g/n, Wi-Fi Direct, DLNA, Wi-Fi hotspot . – Bluetooth – v4.0 with A2DP . – 13.1 MP, 4128×3096 pixels, autofocus, LED flash . – Geo-tagging, touch focus, face detection, image stabilization, HDR, sweep panorama . – Video – 1080p@30fps, video stabilization, HDR . – OS – Android OS, v4.1.2 (Jelly Bean). – CPU – Quad-core 1.5 GHz Krait. – GPU – Adreno 320 . – Sensors – Accelerometer, gyro, proximity, compass.